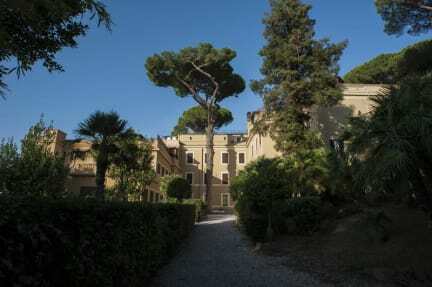 Checkin Villa Angelina has been restored in October 2017 and it is situated in the Order of the Company of Mary Our Lord’s historical complex,located in a refined and residential neighbourhood few steps away from Villa Torlonia.Checkin Villa Angelina has 22 rooms with the possibility to host a maximum of 60 people, one Breakfast room, a Parking area, a fascinating private Chapel, a lovely garden and a charming terrace, in addition some common no-smoking areas and a Reception available 24 hours with multilingual Staff. A short distance from the city centre and perfectly connected by public transport, the Via Nomentana is full of life with different entertainment venues, restaurants and parks,ideal to walk around and disconnect during your stay. Located just 5 minutes walking from S. Agnese /Annibaliano metro station (B1 line) and 10 minutes walking from Bologna metro station (B line) and a few steps from Villa Torlonia, Checkin Villa Angelina is well connected with the main railway stations and the city centre by bus and metro. All our rooms are characterised by modern design, solid wood furniture, air conditioning, free wifi and safe; mostly of them offer TV with flat screen, private bathroom with free toiletries, hairdryer, shower and safe. Daily cleaning. 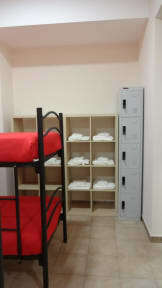 Change of towels and sheets every 3 days. J'ai apprécié le personnel, la propreté, le silence, le petit déjeuner, et surtout l'entrée. Je le recommande.